I’ll bring the hats, gloves & tea set, let’s play….I have a beautiful Jacaranda to play under! So true! 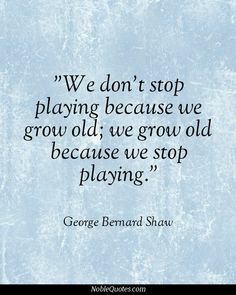 We all need to play at little more in life. You made ms smile. Never stop living. Have a great week. This is a great quote, Bernadette.